Foundation date: august, the year of 2005, Enakievo city, Donetsk region, Ukraine. In the year of 2004 the band Synedrion was founded by Holocaust (Sezenov Maxim). So three snouts began their rehearsats. It was black metal with raw sound that resembted early Gorgoroth, Satyricon and so on. The project lasted until the debut session in Enakievo city (with Cataleptic, Myrkvids Draumar, Khlamida) after which the band. This fact led to the funeral of Synedrion. According to Holocaust thouse two years had no desire to play any things at all. Right after that Holocaust asked the drummer of Myrkvids Draumar - Lecter to join the band, and got positive answer. That is how the name Screaming Forest appeared. It remained smashing true black metal. 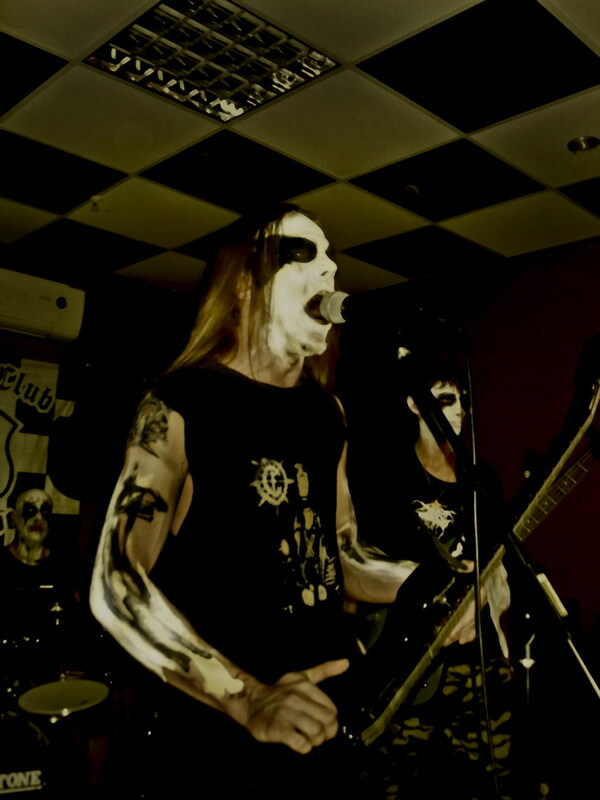 Then two of them played together not for a long time, when the lead guitar of Myrkvids Draumar - Troll (Trush Andrey) joined them, as a bass guitarist. They began to work with renewed repertoire and in not such a long time they played on the Screaming Abyss Fest in Enakievo (with Datura, Fleshripper(presently dead), Acephala). After that guys planed to make a demo, but bitter cold and lack of equipment made that imposible. Few concerts in Enakievo, and Kharkov ended with the journey into the depths of alcogolism. After getting more sober � session in Severodonezk with stylistically changed material (lirics had to be changed). In a half of the year they gave birth to their first album 2007 �Black kingdom of lust�: 7 traks and one Synedrion's caver "Evil is Comming". After the release the decision was made to devote themselves only to studio work without any concerts (but not for good). The cause of this decision is that all the members of Screaming Forest take active part in other metallic organisations such as: Myrkvids Draumar (Lecter-drums), Acephala (Holocaust-vocal), Eclipse( Lecter-vocal). In the begining of 2008 the second album named "Jesus=Whore" was released, and the bass guitarist of the band Distorted Vision-Sanches (Plaksiy Alexander) joined the Screaming Forest.